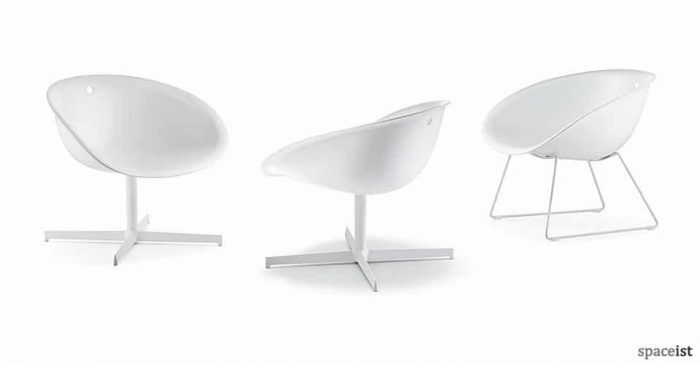 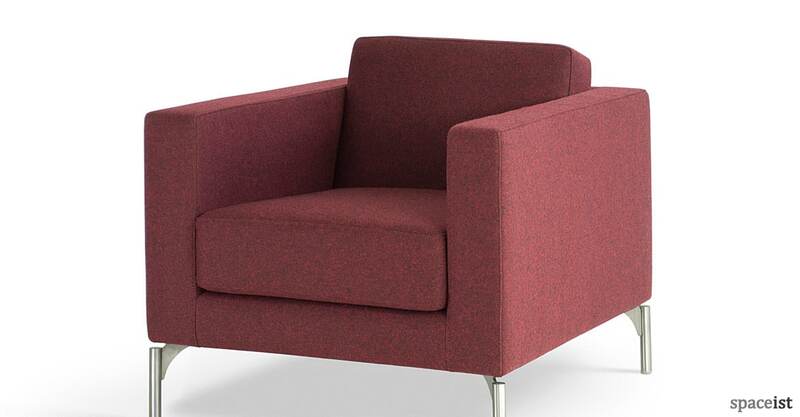 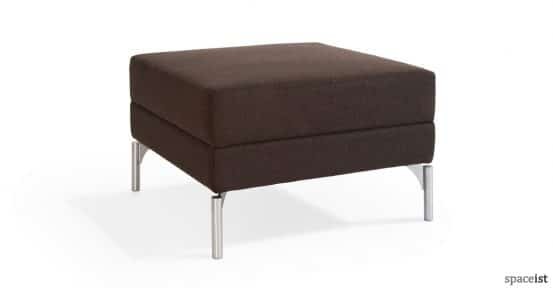 The 34 is a smart and modern reception chair with an attractive stainless steel leg feature. 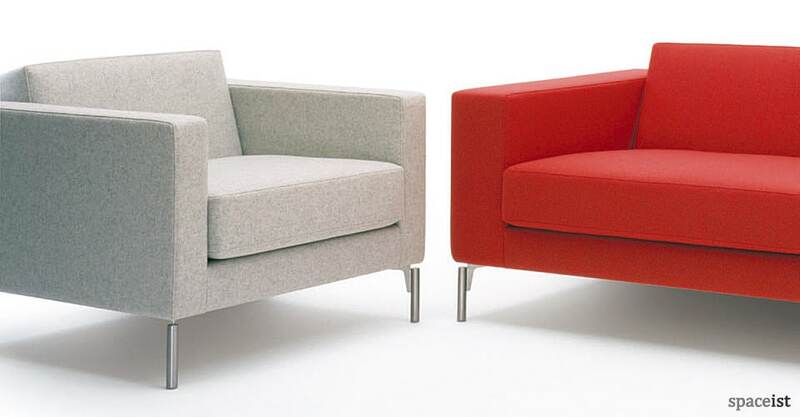 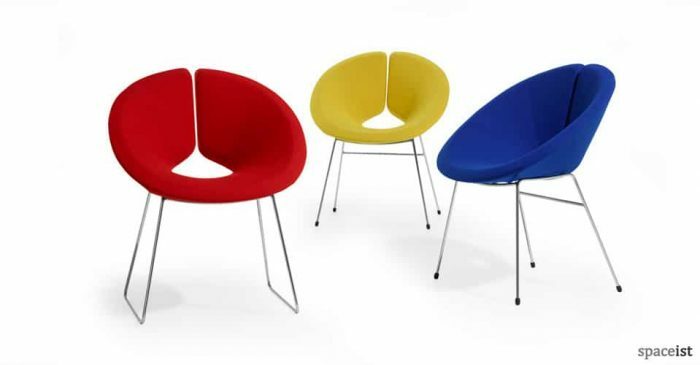 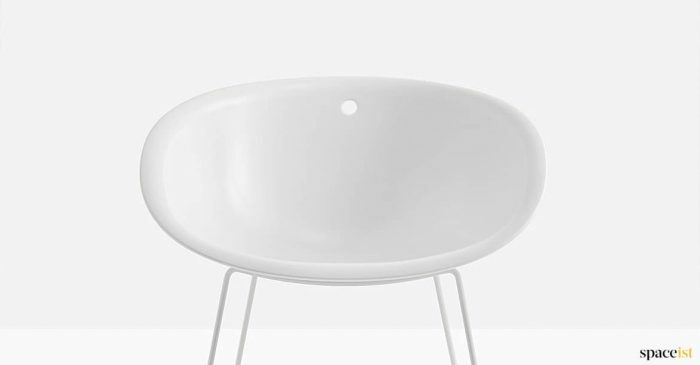 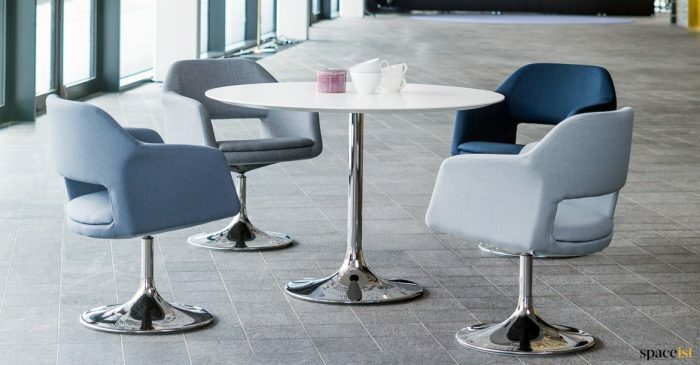 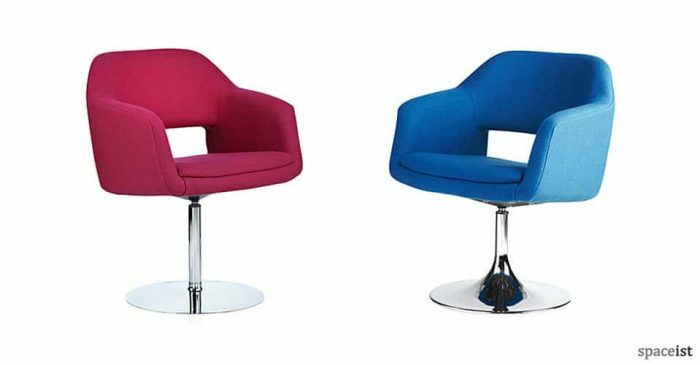 The chair can be made with either a thin arm (left) or wide arm (right) and the fabric options cover the full colour range. Also available with a matching sofa & foot stool. 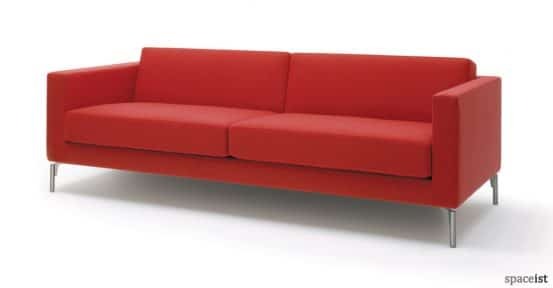 Power sockets can be fitted into the armrest or sofa front.